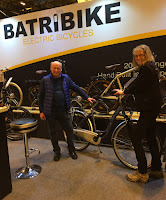 Batribike was at the Scottish Cycling, Running and Outdoor Pursuits Show at the weekend. It is quite a trek for us up to Glasgow but there is always a warm welcome. The event was held at the SECC the Scottish exhibition and conference centre, which is just behind a marvellous building which has been dubbed the Armadillo. When we arrived at our hotel we were next to the Clyde straight across the river to the Armadillo and the Hydro centre. They were all lit up beautifully. We got the stand all set up on Thursday using the same layout as the London Bike Show. There were plenty of activities for the young and young at heart to take part in and there was quite a buzz in the air when the show started on Friday. 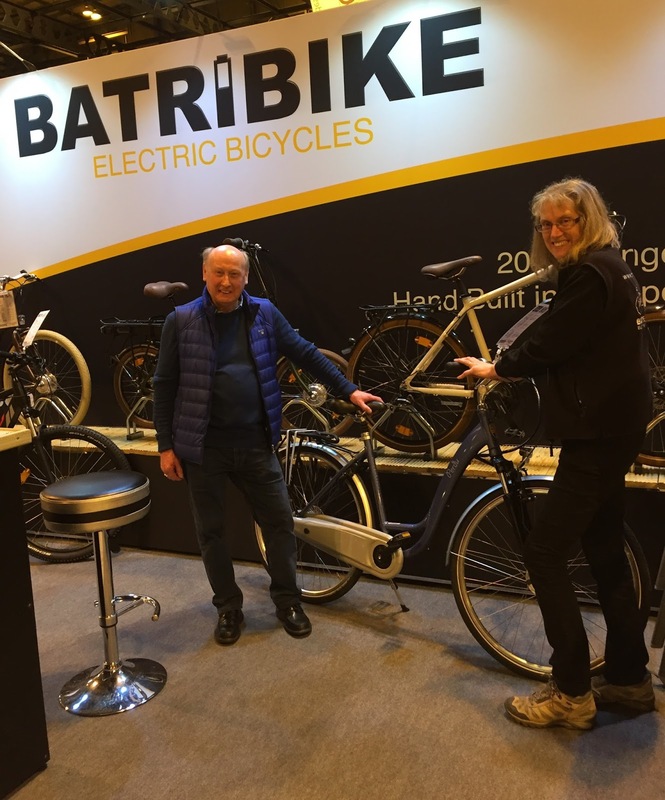 We were delighted to chat to existing Batribike customers, it is lovely to hear where people have been on our bikes and that they are enjoying the adventure. There was a test track area where we could take visitors to get a feel of what an electric bike is all about. It was great to see that “electric bike smile” as they had their first experience of a pedelec. We were promoting our network of Scottish stockists and it was great to see them all on the stand to discuss the coming season. All too soon it was time to pack up and head back across the border. It’s not many days before we do it all again at BikeExpo in Manchester.